Babies are beautiful, sweet and squishy beings of pure light, bringing the bling and sparkle we never knew was missing from our lives before their arrival. For this reason it is worth considering giving them a name that truly sparkles and shines. 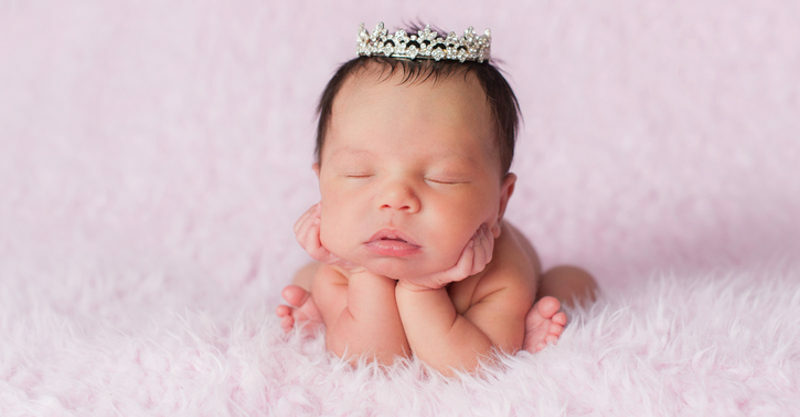 Here are 14 of the blingiest baby names for your little treasure. For the love of everything that sparkles, Crystal is a beautiful name that conjures glorious visions of glittering rainbow light from what is a simple but brilliantly cut piece of glass. Precious and dazzling. A baby girl is a precious gem so why not give her a moniker that amplifies her worth such as Jewel. A true treasure. Jem is a gem of a name and one that was classically immortalised as fit for any strapping lad in the iconic novel To Kill A Mockingbird. It could also be added to the list of nicknames that have become great first names for babies. The flint stone is known for producing a spark of fire when struck by steel. It is a precious gemstone but also known for it’s ability to create strong tools dating back to the stone age. What better name to represent a bright light than the one held by the Greek Goddess of Light, Thea? The very definition of this classic name is light bearer, perfect for any sparkling little lady. Perfect when you consider your little girl is sure to light up your life the same way the stars light up the night sky. The warmth and vision of a new day beginning is arguably the most beautiful light of all. If shiny and bright is what you are after in a name, perhaps consider Kalinda, which is a glorious Hindu name meaning the sun. The God of light in Greek mythology could be well suited to your your little lad. A Hebrew name meaning the sun, Samson is bright as well as biblical. For a boy that is destined to be bright, Xavier could be just the name needed. If your beaming boy is also a little ray of sunshine, this short and simple name could prove the perfect fit. Not just a trendy looking name meaning light. This name represents an intense beam of light sure to burn a strong trail in life.